Kerry spends her time researching beauty tips and hair care advice. She specializes in color-treated and bleached blonde hair. Most of us know that to dye our hair blonde, we have to use bleach to lift out the color. Once you bleach your hair, though, there are a surprising number of possible results, and they may not all be what you want. 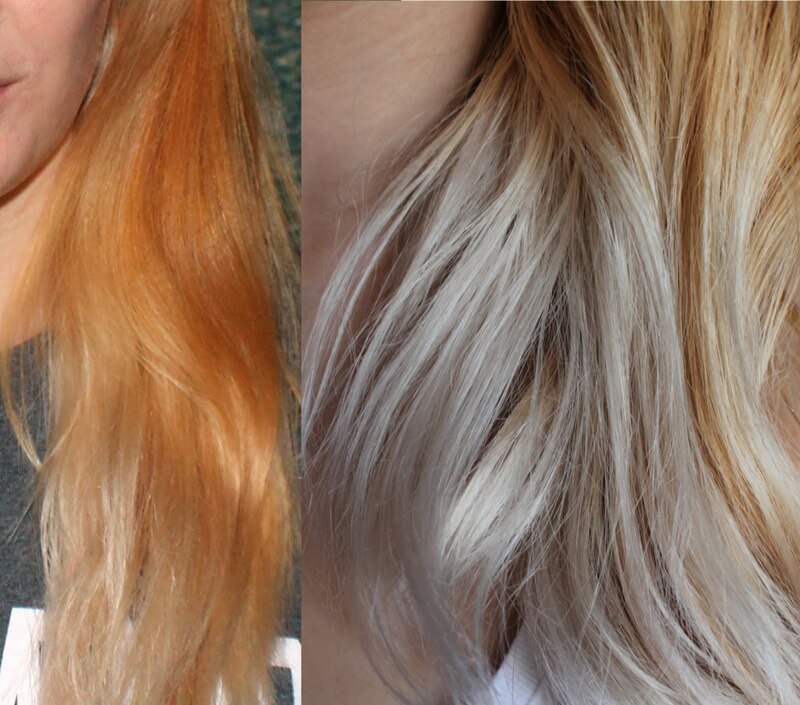 Have you tried to bleach your hair but ended up with hair that was too brassy or more orange than blonde? Personally, I prefer my hair to be a cool, silvery blonde. That’s an almost impossible color to achieve with just bleach. That’s where toner comes in. If your hair is a masterpiece and bleach is your paintbrush, toners are the small brushes that allow you to add details and shading. In short, the right toner will let you achieve the exact shade of blonde you want for your hair. Keep in mind, however, that toner won't get your hair lighter if you're going from dark, only bleach will! Bleach your hair (I am assuming you have done this). Your hair will need to be lifted to somewhere between orange and lemon in order for the toners I have listed below to work for you. Apply them to your hair. This article will walk you through this process using my personal experience experimenting with toners and advice from my hairstylist. Let's begin! Where Can I Buy Toner and Developer? Wella hair care products have become my go-to products for maintaining my blonde hair. You can readily purchase all the Wella Hair Care products from any large online retailers such as Amazon or eBay. You can also purchase them from specialty beauty supply stores like Sally’s Beauty Supplies either in person or online. I went to Sally’s to compare prices and they are around the same for both sites. Pricing: The only price variation you will find if you search for “Wella toners” or developers is the lower the price, the higher the shipping charge. Select “free shipping” specifically if you’re on eBay. Which Developer Should I Use? Use this developer with a darker toner or to correct mild brassiness. Use this developer with light toners and/or more orange-tinted hair. Do not use these developers at home! Developer can be purchased in either 10, 20, 30 or 40 volume. As I mentioned in my last post, I am not a professional stylist, but when my hairdresser warned me that I could fry my hair and end up with clumps of it in my hand if I used 30 or above, you can bet I was going to heed her advice! 10 volume: This developer is better if you plan to deposit a darker shade of toner into your hair. If you’re adding an ash brown or dark blonde toner, I recommend this one. It also works well if you are using a light toner but are only trying to soften mild brassiness instead of combatting orange tints. 20 volume: This developer has its own lightening effect. If you have bleached and you are ready to tone with a very light beige, honey, or ash blonde toner, the 10 volume developer might not do the job. 20 volume developer is a little stronger, suitable for use with your lighter blonde toners. I chose the Wella Color Charm Crème Developer in 20 Volume based on information from my favorite YouTube hairstylist. It was a 32oz bottle and cost $10. I grabbed the larger bottle because although I knew I wasn’t going to need much, I wanted to keep this developer on hand for whenever I needed to touch up my color. It worked great! I started my hair toning adventure using a very light toner, which was a mistake for me because going from very dark brown to blonde, I still had a lot of orange color in my hair so it was just plain ineffective. Actually, my hair was orange, so this will save you a load of time if you’re currently orange. You can’t avoid the orange if you’re dark-haired. Dark hair bleaches in these stages: dark brown/black, red, orange, yellow, and finally lemon. Light toner will not cover very orange hair. For residual brassiness on already pale hair. On "lemon" bleached hair for a sandy blonde color. 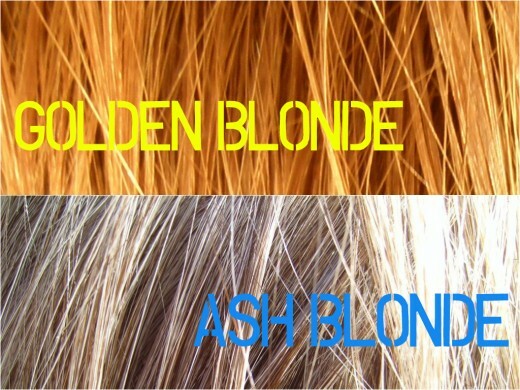 On yellow or orange hair for a dark, smoky blonde. On yellow or slightly orange hair for a lighter ash blonde look. Although these are all technically toners, the 7A/672 and 7AA/632 are listed under "Color Charm" on the website. All of these will help remove gold and red tones from hair except the T-11. My hair wasn't light enough. Wella Toner T-11 "Lightest Beige Blonde"
My hair still wasn't light enough. My hair was already light, so this mix worked. What they're good for, and how I used them. My first toner was the Wella Color Charm Toner T-18 “White Lady.” Again, my hair was still orange so this toner didn’t work well in my hair. 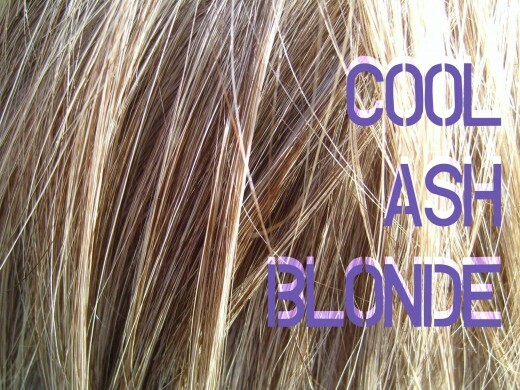 If you’re quite blonde already, this will work great. It’s an ash color, so use this to remove any residual brassiness and to maintain a light shade of blonde. The next Wella Toner I used was T-11, which is a light beige blonde. It has a slightly gold finish—not too gold to make your hair brassy though. If your hair is already bleached to a lemon color and you want a sandy beach-blonde look, this should work wonderfully for you. Again, my hair was not lifted to the lemon color yet, so this was not effective on my hair and merely left it a different shade of brass. This toner does not have the ashy effect, so it will not neutralize warmer yellow/gold tones. For a cooler tone and to neutralize the sandy effect, look for a toner with the word “Ash” or “Ashe” in the description. Next I opted for a slightly different route, and bought Medium Smokey Ash 7A/672 (color). This changed the color of my hair into a beautiful ashen color and, of course, smoky blonde. I loved this color because white blonde isn’t my thing and not what I was ultimately aiming for. It was darker than I wanted though, so I dropped the "smokey" label and graduated to plain medium ash blonde. This Medium Ash Blonde 7AA/632 color is also lovely. It's the same color as the medium smokey ash, only a much lighter shade. It has such a pretty finish: not stark white, not brown, but perfectly in between. I stayed with this color until the next time I needed a touch up, then I let it fade out with several washes and finally got to where I am now: ready to try a mix of T-18 and T-11 together. This will let me keep use the ash tones to keep the brassiness at bay, but give me a more summery look with the "sandy" finish of the lightest beige blonde. If you have any doubts at all, I would suggest the Medium Ash Blonde 7AA/632. You can’t go wrong here in my opinion because if it comes out a little darker than you wanted, it will fade after a few washes without allowing your hair to revert to the orange/yellow. If you work outside the home, you don’t want to go to work with bright yellow hair! 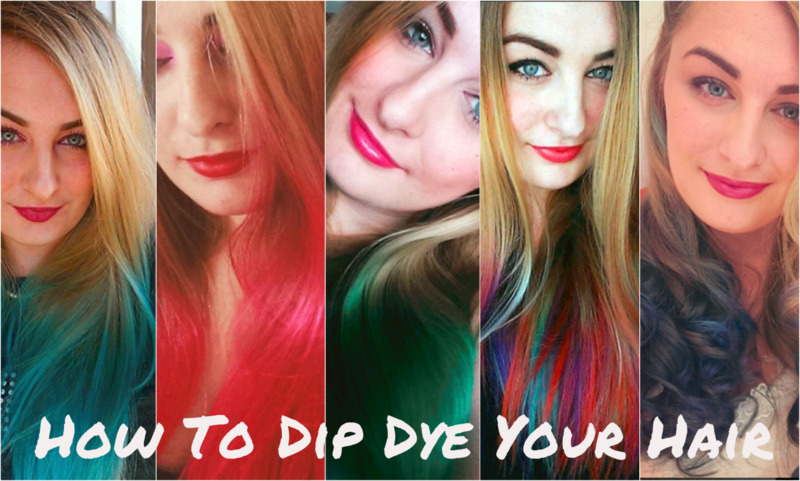 This will help you out until it fades a tad; then you can tone for that lighter blonde look! The above photo shows exactly what color my hair is today. I do love it, and I hope my hair-color journey provided a useful guide for you. By using the medium smokey ash and then the medium ash blonde colors first, I suppose I could claim victory at obtaining my desired blonde shade by sheer accident. However, the word accident is probably not a good choice to use when we are discussing bleaching and toning our hair. Suffice it to say my hair color now is perfect for me. It looks natural and not bleached at all, and I don’t have to lighten my brows. I just love it! The process of getting your hair the desired color will take time! You can’t bleach hair from very dark to pale lemon in one sitting. If you attempt to do this you will damage it beyond repair. It takes multiple bleaching sessions spaced out over time to lift enough color to get to this point. With that said, here is a brief overview of the toner process. The video below offers an excellent step-by-step tutorial. There will also be detailed instructions on the box. Optional but recommended: do a strand test. Apply the toner to a small section of hair first, following the same instructions you would normally. Once you see how this turns out, you can decide if it's the right color for you and if you are letting it settle for the right amount of time. Wash your hair and make sure to thoroughly rinse out any shampoo or conditioner. Mix your developer with your toner. Use a ratio of 2:1 with your toner: two equal parts of developer to every one part of toner. I use a whole bottle of toner each time. If you're mixing the T-18 and T-11, you use a 1:1 ratio of those. Apply the toner to your hair in sections, making sure not to miss any desired area. Always start on the hair shaft, then apply to the bottom of the shaft, then apply to the roots last. The heat from your head and the extended time on your roots can make you look more gray instead of blonde. I seriously do not need any more gray! Once you've applied the toner thoroughly to your hair, let it settle for 30 minutes. Rinse it out! No need to shampoo, but you can condition. I use toners about every 5-6 weeks to touch up my color. Purple shampoo just might be your best friend. In general, I use either purple shampoo or purple conditioner 2 times a week to keep brassiness at bay. It helps lengthen time between toning sessions. However, if you're dealing with brassiness after getting some sort of effect and just have parts of your hair that are orange, purple shampoo should be your first try. Try using it a couple of times. Put it on damp, unwashed hair, rub it through evenly, leave it on 7-10 minutes (no longer), then wash it out and condition. Wait two or three days, and then use it again. To use it for color maintenance, damp your hair once or twice per week, apply and leave it for 30 minutes or so, then rinse and condition. If the reds or oranges still aren't gone after that, you might want to try something else. I used 7AA (or Another Product) and It Came Out Way Too Dark. Is the Blonde Gone? Usually the toners, and some colors like 7AA tend to fade after washing your hair a couple of times. If you're in a hurry, though, you can wash your hair a few times with dishwashing soap, or use my soap cap recipe for bleaching at home. Some people have said this is technically bleach, but I still think it's gentler than commercial bleach. It works very fast, so check after 5-7 minutes and incrementally after that. Keep a swatch of unbleached, wet hair close so you can compare. There's a product called Chi—actually it will say ChiIonic on the box. It comes in a tube like a large toothpaste tube. It's highlift for hair that is already blonde, so if you click and shop for "Chi Highlift Color 11A", it'll be your magic wand for those highlights! Use 20 volume developer, and squeeze out one part color to two parts developer. Leave it for 15 minutes, then rinse it off, shampoo, then condition. Please be aware that this is, as I said, only for use on hair that is already blonde, so if you were to put it on your brown hair, it will potentially create orange. Apply it carefully to your highlights, either wish a brush or freehand. Do not use this all over your head, unless your whole head color is blonde, with lighter lights. How Do I Reduce Damage to My Bleached Hair? As far as conditioning, I don't spend a bomb on conditioner at all, and I often use a favorite inexpensive conditioner, but I find that massaging some through my hair and leaving it for an hour or two before I rinse, lightly shampooing, and then conditioning again really helps a lot. Use the cheaper brand for the deep conditioning and use your favorite for after shampooing. Also, make sure your hair is absolutely saturated before applying shampoo, or you can use way too much, and many brands of shampoo can be very drying if you use too much. You can also try good old mayo and leave on before washing. Coconut oil is also a good choice, which you can wrap or wear a cap and leave on overnight. Obviously you should avoid heat as much as possible with dryers or flat irons. Ironically, however, I've found that spritzing my very damp hair with some of that heat protector spray, or Argan oil, does good things for it, even though I'm not using heat. When you're in the shower and have conditioner on your hair, 'finger comb' your hair, and don't moosh it dry roughly with a towel when you get out. Just gently squeeze the excess water out with your towel, and again, comb with your fingers. You'd be amazed how much your hair will thank you for avoiding a brush. Some are terribly rough on hair, plus if you have waves, the perfect way to get them to stay in place is by finger combing and air drying! I Toned My Hair and It Turned Green! How Do I Get Rid of It? Sometimes hair can turn green if it's still too brown when an ash color is used. Try lightening a bit more, and then use a pale ash brown color, not toner. Use 20 volume developer. You could also try Epsom salts if your hair is very damaged and you don't want to do anything too drastic. Try 2 tablespoons of Epsom salts, mix with the same amount of baking soda, and then add about a cup of shampoo, or enough to cover your whole head. Perhaps a half cup would be sufficient. Allow it to sit for 20 minutes, then check it. When I used this method years ago, I covered my head with plastic wrap to keep the warmth in, and eventually left it on for about 45 minutes. I had a pretty bad pink incident going on at that time (toner catastrophe o.O). In any case, it took out loads of color. Afterwards use a teeny bit of shampoo, rinse very thoroughly, and then condition afterwards. 10 volume will not light your hair shade or color anymore than it already is. If you're adding a darker color, like that brown you used, this will help it to deposit to your hair. 20 volume developer has 6% peroxide, and will lighten one to two shades, usually. Therefore, if you're adding highlights, it's best to use the 20 volume. Have you ever dyed your own hair blonde and had a weird outcome? OMG yes, I'll never try that again! Wella toner chart uses an international level and tone system. It is used for Hair Toner that describes different shades of Wella toner. Hi Kerry, came across your page and found your hair articles informative. I've had some probs with Wella color/toners but maybe just not using the correct ones for my hair. My hair is currently around a level 7?, from using Wella 10 C Icy Blonde and T 28 most recently. (My natural color is dark brown (blonde as kid) but has been bleached alot over the years, and tends to have goldish tones from bleaching.) The 10C and T28 have left my hair a muddy, dark champagne-ish color...not what I want! 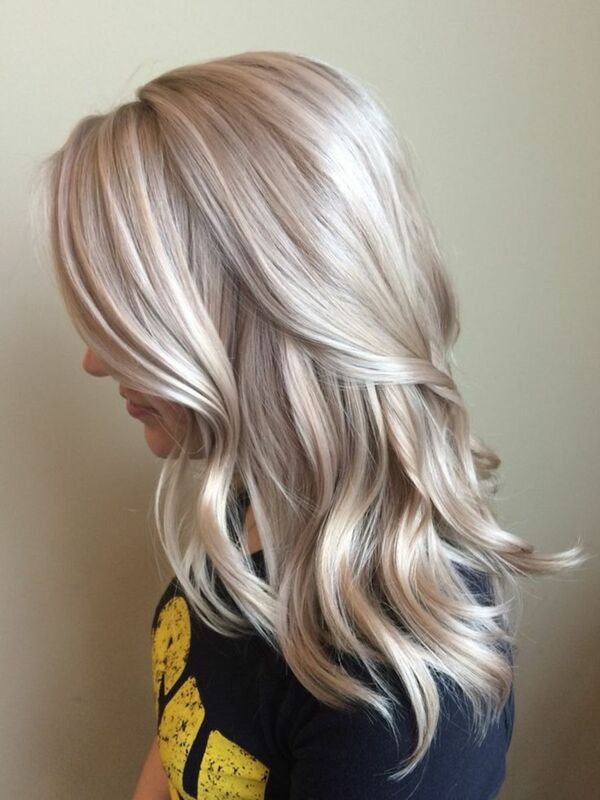 I'd like to get to a nice ash blonde (not too silvery/grey or white). I'm not sure if I need to bleach with Quick Blue first OR use one of the PALER ash wella colors instead? Then not sure what color toner I'd need. I've used wella toners besides the T28 without achieving what I want. I think I used satin blonde and frosty ash once but again....not quite right! I'd appreciate any tips you can give me!!! Thanks and I look forward to reading more of your articles. Toners are a great way to keep processed hair looking natural, but finding the right shade and learning how to use the Wella toner correctly can take a little practice. Super helpful & informative! Thank you!! I had a bad visit to the salon two days ago, left in tears with orange red and blonde ends with very dark roots. I’m the hair dresser I saw was trying to tone my hair with warm colors even though I repeatedly told her I didn’t want anything warm. There was a lack of listening. But anyways. My hair is now this terrible shade of BRASS! I want to try toning with a dark ash blonde or light brown but don’t know if should be concerned with my roots lifting? I don’t want to add to the orange... I was assuming I should use 20 developer but maybe I should stick with 10? Hi Chrissy, the best and most economical way I would suggest is to use shampoo especially for blonde hair first. It will leave your blonde hair lovely and bright, and not give your darker hair a brassy hue. I just want to lighten the blonde that’s already on my ends do i just need to put the toner on just my ends or all over? The top part of my hair is dark brown almost black. 7 weeks ago from The Beautiful United States of America! Thank you for your time and your questions, please share me with your friends! I have naturally dirty blonde hair so my roots are a medium brown. I've used 20 developer twice on my roots, with a week span for recovery, and it won't lift enough that the T18 toner will show correctly. However the hair directly adjacent to the roots, which has only been bleached once, takes the toner no problem to the T18 shade. I'm very slow to do color maintenance, so only the roots and adjacent couple inches usually get bleached once every 4-6 months or more.. I was thinking, natural unprocessed root hair should be easily lifted with bleach when its not even that dark to begin with? How long can I go in between toners? I just did T18 on my medium brown bleached hair highlights that are still orange/brassy and it didn't do much to it. Many thanks! My hair is thinning. My hairdresser uses the product on my roots about every six weeks then hulights with foil. 3 months ago from The Beautiful United States of America! Hi ashley, YES! definitely try 20 volume developer it will make the world of difference. thank you Kerri, your advice is excellent! Please help, I had yellow/blonde hair and toned it with and ash blonde and a 10 developer as instructed by a friend who is a hair dresser. My hair is a lot darker then desired and im not happy with it. Can I go over it with a toner again with 20 developer?? Will that help?? 4 months ago from The Beautiful United States of America! Hello Laceykthoughts, I just sent these to another lady who didn't like the ashes in her blonde hair. There are another couple of lovely toners for your gold blonde hair I thought you might like to try out. These are named and numbered as Regal Beige T27 and Imperial Beige T35. Thanks for your question, sorry for the long wait. Hi! I also have a pixie at the moment as my hair is growing back after having chemo, and I have gotten used to the short hair. I think I love it - the jury is still out lol. It's a little amusing though - I never thought of myself as a pixie hair girl, ever. My stylist told me the other day, that I will need to come back to keep the back stacked a little as it grows, otherwise just cutting the length could result in a mullet. I'm not ready to go back that far yet! Having said that, you could get a friend to help you razor the ends for the first one or two times, just be mindful of how your shorter layers are catching up. Hi Katie Burkhardt , good morning. Oh that's great You will find if you use purple shampoo, you will get much more mileage out of your money spent at the salon. 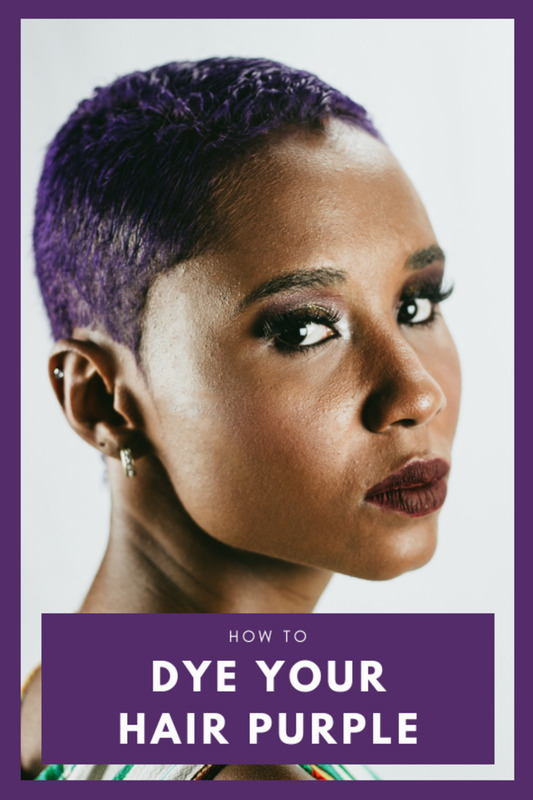 Your color will stay lovely, and you won't need to reprocess your hair nearly as often to get or keep that pretty color you love. P.S. sorry for the long wait :/ life got in my way. sahej, Good morning! Yes, just go to my profile page you will find all of my articles there, one of which will give you the steps you need to follow to lighten your hair before using the Wella colors and toners. Hi JustJanet10 , sorry for the longwinded response my end...thanks for your input, we all appreciate it :) There are another couple of lovely toners for your gold blonde hair I thought you might like to try out. These are named and numbered as Regal Beige T27 and Imperial Beige T35. Hi Mary, you could try that, but are you blonde already?If you're only just lifting to 9A from a darker color, you might make sure you achieve that shade first then tone as an extra step to get what you need. can you recommend an easy guide on "how to bleach/lift" ; the step before this process? I did not do that and my hair turned orange/red! So I read up, bough supplies & got started. I used color remover, then bleached all over & ended with T18 wella toner. Wasn’t a huge fan of it. Waited a month, did a soap cap, but mine consisted of bleach powder, 20 volume & clarifying shampoo. This lifted my hair another 1 & 1/2 levels. After this I did the toner, a mix of 1/2 bottle of WellA T10, soft blonde and WellA T11, lightest beige blonde with 20 volume. This turned out to be the magic bullet for me. The perfect balance of pale blonde with a golden finish. It’s amazing. Anyone looking for this type of blonde shade I cannot recommend this blend highly enough! You need to have your hair lightened to a level 9 for it to look the best though. Very grateful for your videos. You have saved me so much money I never had. Any chance you can tell me how to best DIY manage the back of my pixie? I just want to keep the lower back short...electric razor? I realize this may be asking too much, lol. Thank you for this article. I tried to get a dark ash blonde balayage (from brunette) at the salon and the first time it was too golden and so I went back to my stylist to fix and then is was way too brassy...so for the last two weeks I've just hated my hair. Then luckily I found your article and followed your advice and steps and now it's a lovely dark ash blonde!! I may try to go a little lighter in a week or two but it's already much closer to what I originally wanted! Thanks again!! blonde yet non color ashy look? Thanks for the article I find it very useful. My hair is already an ash blonde colour but the yellow tones start to come out. What would be the best shade to go for? Would any beige shades actually work on it? So, I just balayaged my own hair, the first time I used a toner t18 and t10 combined and it cam out orange on the brown parts. The blonde parts came out ok. Then I only used t18 with 20 developer and it still didn’t ash it up. I want all over ash and idk what product to use to do that! Help! I have an even this weekend! It’s Tuesday!!! 12 months ago from The Beautiful United States of America! Hi Kee - that's a difficult question to answer because there are many shades of green and many ways for hair to be green in the first place. If you used dye, for instance, the green is different to the green you would get from chlorinated water. You could do a strand test, and keep a note of the timing to see how long it takes to alter the color. 13 months ago from The Beautiful United States of America! Hi Allison90, sorry to take so long to respond to your question, I had some health issues and was off for a while. You could try washing your hair with some dish soap and a bottle of water, or two for rinsing. Do this once in a while, and then use a toner with 20 volume developer when you can afford it. ZBusters, hey! :) The 20 is much better for lightening and brightening. I always do a strand test first to check what timing I need. Volume 10 is better for depositing color/darkening. Hi NataliaASM, I make sure to have my hair as evenly colored/bleached as possible, then apply all over. Leave the roots until last because they process faster due to the warmth of your scalp. Hi mishamouse63,thank you so much! That's great! It's so hard going from dark to that color without orange AND some collateral damage. I am happy to have been able to help you. P.S. See my profile and follow along on Facebook if you wish. 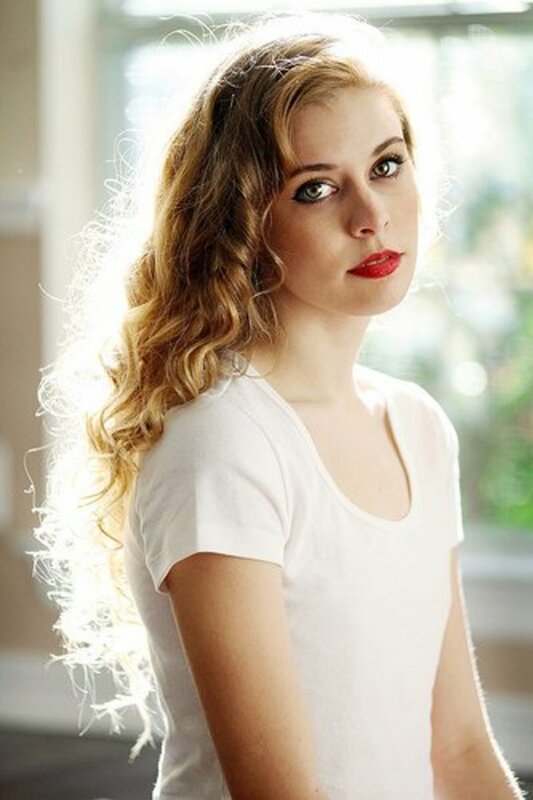 Also, how do you achieve those lovely highlights without damage? This is a great post and your hair is absolutely beautiful...not only the color, but everything about it! I'm curious though, how do you handle roots? Do you have to bleach only your roots and then apply 7A, wait a while and then do 7AA to get light enough to do your usual toner mix? Hi! Thanks for this, it really helps. I bought the 7aa/632 to correct my gold/orangish hair. My concern is that I have about an inch of very dark brown root and I'm not sure how to apply the 7aa/632. Do I first apply it to my roots and then the rest of the hair? Or the entire hair all together? I also still have some dye left to fill in my roots (I use an online, mail-home service for hair dye) by I was hoping to not have to use it because I want to grow the blonde out, it's too much of a hassle. But in the mean time I wanted the blonde to look nice and not orange, which is why I got the 7aa/632 (: let me know what you think. Thank you so much for writing this! I balayage and highlight my own hair and have always toned with T-18 because I thought that was my best chance to remove the red/orange tones but my hair always ends up more brassy than I would like. Going to buy the 7A toner you mentioned and give it a whirl! Hello there! Thanks for all of your generous info :) I have rather balayage hair - quite light at the ends and more of a dirty blonde/ dark mousy brown on top. I am only wanting a minimal effect - not heavy silver or whites - just something to kind of rid the brass/ yellow/ oranges that remain in my hair. I would love as well to minimize damage. Therefore I am thinking of using the Volume 10 Developer with the Wella T18 toner...do you think that would give the desired effect or is it necessary to use Volume 20? Thanks in advance for your time and advice! How can you tone hair that has low lights and highlights and still get rid of brassiness? Thank you SO much for this article. It was INCREDIBLY useful!! Hello I just used wella toner and developer. It said when rinsing out you could use conditioner. Does anyone know how long until I can shampoo & Condition? I haven't dyed my hair in a while its a light blonde with highlights. But since I've moved into my new home, we have well water and there's rust in it my hair now has a brassy tone to it in certain spots. What can I do to help take that out don't have the time or money right now for the salon? Thank you so much for all your helpful information. I've been doing my hair forever but unlike you, I'd give up and end up with spending a fortune. Thanks again!!! So I was just curious, i bought some ash blonde hair extensions and when I received them they looked more like an ashy champagne blonde, I thought maybe if I washed them it would come out eventually but no. Can't return them now either of course... :( is there anything I can do to get that pinkish color out and get them a little more bleach blonde looking, I do have some ashy tones with my natural hair but it's mostly light vanilla blonde do I don't want to tone them with purple shampoo like I've done before and have them turn an even weirder color.. help me! Thank you! My hair turns red no matter what color I seem to put in it. It's to the point that people comment how my ginger daughter got her red hair from me. I've tried various ash tones, as well as ash intensifier. Still red. The colors always look nice, but my ash blonde roots don't look good with the eventual brassy blonde I am left with after a couple months. This time I used the Wella medium smokey blonde with a natural blonde toner. It's still a golden blonde, but definitely not red. I want to see your take on my hair. I have Olaplex highlights under my current color (changed full head in October) that is L'oreal's Professional Color light brown bought from Sally's (not box brand). I want to lighten the brown up a bit. Over some of the coloring, I have done my entire head and not just the roots and it is a bit darker now. I have to color my hair every 3 weeks since I have that wonderful almost full grey gene. I am seeing what I call "skunking" grey stripe too easily because my hair grows so fast. I do have natural red tones even though my hair is pretty much grey and color grabs pretty quickly. Although my temples just don't seem to grab the color as solid as the rest of my hair. Looking for your input to bring my hair color up a shade or two. Would it be best for my to use a 20 or 30? Should I mix with baking soda, developer and shampoo leaving out peroxide since I would not use the bleach? Also, I am coloring my roots today with Ion Dark Blonde and would think that I would not do my roots but the balance of my hair only. I just need to bring the darker part up a bit so there is not such a drastic dividing line. Should I wait till the weekend to do the cap giving my a break on the processing? The girl at Sally's says I could do it same day or the following with no issues so long I condition really good. Any suggestions would be very much appreciated... PS...I hope you recent health concerns are being treated well. 21 months ago from The Beautiful United States of America! Okay, that was weird. Not sure why my whole question didn't post...Anyways, I was wondering if that since my roots were lightened by the developer, will the slight brassiness be toned down after washing it a few times? Or am I stuck with it? So I just toned my hair with Wella t18. My highlights look great, but my roots, not so much...The developer definitely lightened them! I don't know what my natural hair color should be, my mom permed my hair every year as a child and I started coloring at 14. Last year I had a baby and let the color go. It grew out a dark dirty blond with gold and red highlights. I recently went light champagne blond and it turned a yellow color. The Sally rep have me T15 toner and 10 volume..whatever that is. How will this work? Thank you so much for this article, it is so clear and the exact information I was looking for. **In regard to roots, please be aware that using 10 volume can indeed lighten the virgin hair. If you have lightened or colored hair and any substantial regrowth or roots, avoid the root area when toning. Toner with 10 volume lightened my level 6 light brown ash roots to a level 7 dark brassy orange brown. Not cute. The rest of my hair toned looked great. If you can't avoid your regrowth it might be better to use a product like Redken Shades EQ to tone. You can get it on Amazon. It uses a processing solution instead of a developer and therefore will not lift any virgin root at all. It's a great option for people like myself who love the very grown out root look but still need to tone their blonde lengths. Hi I have a very dark brown natural hair . I just bleached with a 20 volume developer and turned like orange color then I bleached again and turned like yellow color. My question is what toner I have to used to get a smoke ash blonde? I used a hi lift ash brown on hair that was already light with blonde and red tones. My hair now has platium/white coloring on the ends that were very blonde. How can I fix it to an ash brown? 23 months ago from The Beautiful United States of America! Hey Brianna ^_^ yes, quite likely. However, if it's still more Beige/slightly brassy than you desire, try mixing it equal parts with an ash blonde toner and use 20 volume developer - perfect! I have a honey blonde ombré and it's brassy now,and it's slightly orange/reddish. There's the Wella toner T27 the color is Medium Beige Blonde,will that tone my hair and keep it honey blonde? After i color my hair at home with box color FERIA platinum blond , can i use wella toner T18 with 20volume? 24 months ago from The Beautiful United States of America! Hello Tannie, that product is a color not a toner. If you are trying to go light blonde, it will be too dark. I would suggest using the Beige toner, however, you will likely need to lighten a bit more if you're still showing orange. Enjoy your day! So I just did my dark roots and that is the only part of my hair that is orange now. Do you suggest just toning the roots with the 632/7AA toner? Hi! Thanks so much, I will do just that :) And thanks for keeping me posted, I can't wait to hear how your hair turns out. Thanks for replying so soon. I'm still ordering the permanent color, waiting for delivery. Maybe gonna do my hair two weeks later. Hope things turn out as expected. I'll let you know. Just put a T14 blue toner in my hair, just highlighted as well. Have done this before. This time my hair has a blue tinge. What should I do? Will it wash out? Hi deen, oh thanks so much for asking, I am doing well right now. Only two more chemo treatments to go, then some radiation for a few weeks. I feel so energetic today due to the steroids, I might get some extra work done! lol. As per your questions, yes I have often used those colors for toning, I just don't leave them for the full amount of time if I use them for that purpose. They won't really lift, as such, because the smokey color is considerably darker than one might think, a deep ash, the medium 7AA is slightly lighter, although the same color, if that makes sense, and will be a tad too dark if a true ash BLONDE is what you seek. So, leave it about 8 minutes then check. I know you will love it so much. I always use 20 volume Wella for these colors. I bet your hair is gorgeous! 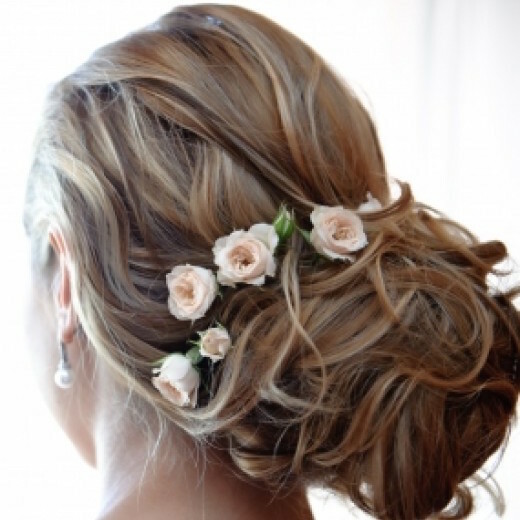 Please feel free to message me a photo of your pretty hairstyle on my FB page. Hi, Kerry. How's your health? Hope things are going well. You've been mentioning in some previous answers that the last 2 products (7A and 7AA) in the table were colors. Does that mean you toned brassiness with permanent colors? Didn't they lift? I have Asian hair. I'm having a plan to make my hair tip as light as possible (ombre), just for fun, maybe a bit blonde. But I got stuck to decide how I'll tone the blonde-bleached part. Since there's no semi nor demi permanent color sold in my country, is it okay to use permanent color as toner on bleached hair? If okay, what developer should I use? 10vol or 20vol? 2 years ago from The Beautiful United States of America! Hi Faith, thanks for the kind words. Yes, that smokey ash can be a little dark, the other color, the 7AA is more or less the same color, only lighter. But don't use this over the smokey ash blonde, it won't change anything. I didn't bleach again I just waited, however, if your hair is in good condition, wash two or three times with Dawn dish soap, that will strip some of the color. You could also just pull some strands for highlights and bleach those. Add a few more over time to create a whole-head lighter look. When you went from the smoky ash blonde to the medium ash blonde did you have to bleach again? I followed your steps and I'm at the smoky ash and it's way to dark for me. I would like to lighten it up. I absolutely love your article! It has has helped me a lot. I went to a salon and they left the bleach on way to long. I wanted a golden blonde and now I'm gray. I just finally stopped crying. Is there a toner for that? And do I need a developer when using a toner? Great article. Very helpful. My hair came out exactly as I had hoped.. thank you! Thank you! Tried the T50 with T14 and it made it a grey/silver - nice but a bit dark. Sticking with just T14 or T18 now.. Thank you! I had orange brassy hair after a few months of not dying, had about 2 inch new growth. I was dying my hair with box dye for a few years, medium ash brown, but apparently sometime the box dye really lightened my hair...leaving a golden brassy color after months of washing. So I used "Color Prep" by Color Oops last night, which took my hair to its natural state, which was a yellowish brassy dark blonde and it didn't look terrible but I don't like yellow blonde, so I read your blog and took your advice on using Wella Medium Ash Blonde with 20 Developer and it worked wonders on my hair! Thank you! Hi Susanem3, the t50 will give you anything ranging from silver, to purple/lilac, or even blueish hair. If you have very light bleached hair, I would suggest doing a strand test first, because you could possibly only need to leave it on for a fraction of the suggested time to get the color you want. Sorry for the long winded response, I've been out with health issues for a while. Please also visit me on FB via my profile page! Hi Barbie, I'm so sorry I am having trouble responding to all the comments since I got back from tending to an illness, please forgive the slow answer, I hope your problem has been resolved. If not, try lightening your hair more first where the roots are darker brown. Using an ash blonde over dark hair will make it that greenish swampy color. After it's lightened, use the ash blonde color. Don't use the golden blonde as suggested to you, it'll just be a mess, unless you have once again, lightened first. Keep some purple shampoo on hand and use it once per week if you see a tinge of yellow you don't like. Hi Mandie788, that's great, thanks for letting us know! That really is a gorgeous color, and if you care to lighten just a little more, you will see an improvement re the green tinge. You could also just chase what you have now with purple shampoo and that should resolve most of the green issue anyway. Sorry for the delay in replying, I've been tending to some health issues. Hello Anna, how dark was your hair when you applied the 6AA? If it was darker than a mousey brown, you will need to lighten a little first for that to be true color when you use it. 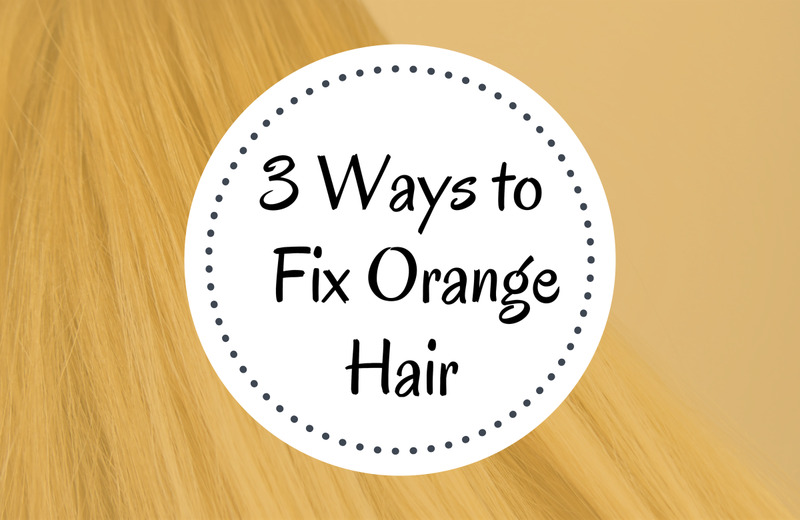 The darker your hair, the more orange it will become when you use a light color. Try to lighten it to a banana/lemon color, then use the 6AA again with 20 volume developer. Hi Caroline, you will likely need to lighten those roots a little more. If they're too dark, the toner won't make any noticeable difference. Nice to see you, and thanks for your post. Hi Kerry, I just did a wella toner t18 on my hair. Love the color my hair came out except for my roots, they are still a little golden...what can I do? Hi - I used 6AA with a 20% developer on my gray roots and they look brassy orange. What toner do u suggest? Thanks!